Under the changing socio-economic, cultural, and lifestyle norms, aging has become a global issue. With the advances in healthcare, medical facilities, social security, standard of living, and reduction in mortality rates, the global elderly population is increasing, but their psycho-social problems are also increasing. Indian society like societies of the developed world is also undergoing a transformation due to the forces of rapid modernization, globalization, urbanization, industrialization, and technological innovations. While the communication and information revolution has turned the world into a level playing field, the same forces have also been changing the architecture of the traditional family system and its values in India. This chapter studies the peculiarities of Uttarakhand and was conducted in seven disaster-affected villages of the Upper Kedar Valley of Garhwal Himalayas. 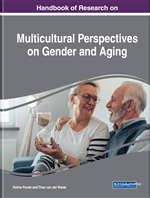 Sixty-two respondents of all group population in 60-plus age were selected randomly for assessing the economic, psychological, emotional, and social vulnerabilities, problems, and challenges. Though aging is a natural process and everyone has to go through it but under the changing socio-economic, cultural and life style norms the problem of aging has become a global issue. While on the one hand with the advances in health care, medical facilities, social security, standard of living and reduction in mortality rates the global elderly population is increasing but on the other hand their psycho- social problems are also increasing. Earlier the aging problem was considered the developed countries’ problems only but India has also come in its grip as the number of the elderly people is increasing very fast. According to 2011 Population Census there are nearly 104 million elderly persons in India; 53 million females and 51 million males. In the last two decades the population of the elderly females has increased and this is also an issue of concern as elderly women are more vulnerable than men. About 71 per cent of elderly population resides in rural areas where the lack of health and other issues makes their life miserable. However the factors like life saving medicines, food supplements, role of caregivers etc have reduced the rate of mortality and morbidity. The increasing longevity of the human beings is also responsible for creating aging societies. Old age is a combination of early and late phases of life, which are also depicted as the “third” and “fourth” stages of life. The “third age” is generally considered a time of opportunity and activity because by that stage most adults of this age group become free of childcare or work responsibilities and keep good health with the help of their resources. The most complex period is the fourth age, in which normally people’s encounter with chronic illness or death takes place. Laslett has explained this stage by using the three “Ds”: decrepitude, dependence, and death (Laslett, 1989) which amply depicts the dilemmas of this stage. While longevity could be a blessing as it allows the society to gain advantage by the wisdom and experience of the older generation but it has also some important contradictions. Since longevity does not ensure the quality of life therefore, if the men and women become jobless or could not find another employment or opportunity to relocate with their family members or live alone, then the old age becomes a liability or state of helplessness, loneliness and anxiety. As a matter of fact in the present age with the dwindling of obligations and expectations from individuals the institution of marriage and family has also become “deinstitutionalized”. (Giddens, 1994; Kohli, 2007) Therefore, the social change, norms and the process of modernization while providing various alternatives to the families and individuals has also reduced the restrictions on the children of looking after their parents in the old age. (Angel and Settersten, 2011). The prime example of such change is the fast replacement of the traditional joint family system in India with the nuclear family system, which promotes the abandonment of the old aged members of the family. Though in a family system the role of grandparents, and especially grandmothers as “safety valves” or “stabilizers” or taking care of grand children is still recognized (Hagestad, 1986; Putney and Bengtson, 2003, Pebley and Rudkin, 1999). But the grandparental ties have also become more fragile because of the instability of family system and geographic relocation of the family members due to economic and other reasons to other parts. This is also creating new challenges for most of the families whether living in urban or rural settings (Bianchi et al., 2008). Moreover generally the grandparents live below the poverty line, and have health limitations; therefore they find themselves unable to perform their caregiving responsibilities (Kreider and Ellis, 2011). Sometimes their poor health brings challenges that cannot be escaped even with plentiful resources in such cases the old age becomes a burden (Ferraro, 2011; Herd, 2006;). The isolation, debility and abandonment by the family members in such cases multiply the problems of both the genders.